And I always wanted them to be close in age — no more than two or three years — so they could grow up together and be friends. After I had my first son, my mind didn’t change, but my circumstances did. Having another kid became impossible for a few years, and the possibility of a two- or three-year age gap evaporated. We ended up with a five-year gap. And so far, so good. When my wife and I finally got around to it, suddenly what I’d thought of as the ideal age gap had ballooned. We finally had baby number two almost five and a half years after baby number one. Thankfully, just as my circumstances had changed after a year of living with a baby and a 6-year-old, my mind has changed too. Usually, when people have multiple kids, they try to consider how life will be down the line, both for themselves and, perhaps more strongly, for their children. Parents want their kids to be friends and companions. Please God, let them be companions! 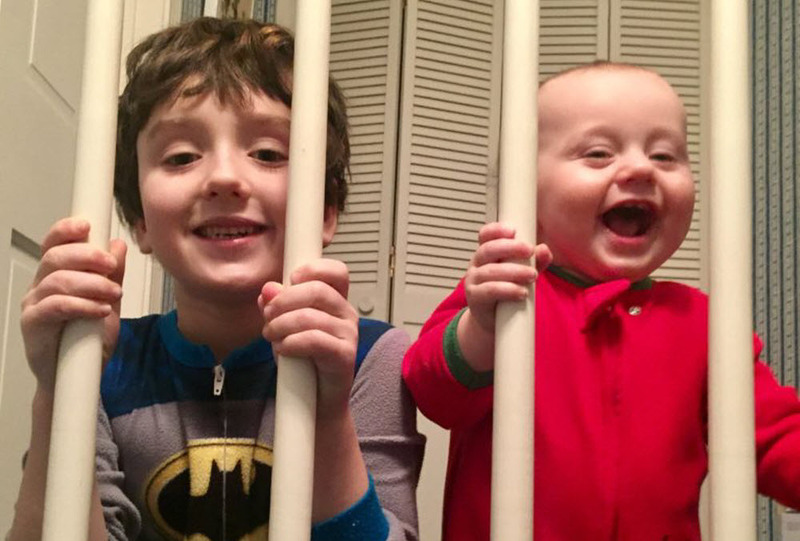 In spite of the constant arguments, the nonstop tug-of-wars over toys, and the perpetual picking at each other’s pet peeves, a sibling is a built-in playmate. They’re even better than TV! It’s a little different when your kids have a bigger gap. It’s going to be years before The Hammer is old enough to truly interact with his older brother, and by the time he is old enough, there’s every chance that his brother won’t be interested anymore. At home, they’ll be forced to play together, but with five years between them, they won’t often be on level ground. I’m a little concerned about how they’ll get along when one is 16 and the other 11. I’m sure my youngest will worship his big brother (he already does) and I hope that, at the very least, my older son looks out for and protects his little brother. But I don’t really see them hanging out all that much when one is going on dates and the other is still in elementary school. There’s no reason they won’t get along (aside from the typical reasons siblings don’t get along), but it might not be until their 20s, when they’ve both exited the structured confines of school, when their ages will become less of a barrier to real friendship. That said, right now having a five-year gap is the stuff dreams are made of. I can’t believe I ever wanted kids who were only a couple of years apart. A toddler and a baby? Two toddlers? A 5-year-old and a toddler? Oh, my god. I could barely handle one mobile, hyper kid before we had the baby; I can’t imagine what it would be like with two! As it is, the 6-year-old is old enough to be just independent enough that we don’t always need to wrangle him while we’re also watching the baby. He is old enough to understand when we explain that the baby is sleeping so shut up! He’s old enough to go turn on the TV by himself so we can get back a little of the sleep we lost from middle-of-the-night feedings. He’s old enough to not have to worry about the baby taking his toys. He’s old enough to help out a little or, at the very least, to not be underfoot at all times. I don’t have to worry about diapers for two, daycare for two, or baby food for two. No, I can’t yet leave the 6-year-old in charge while my wife and I head to the movies, but we are able to reuse his crib! There is no perfect situation that’s great for everybody, and this was not what we had planned. 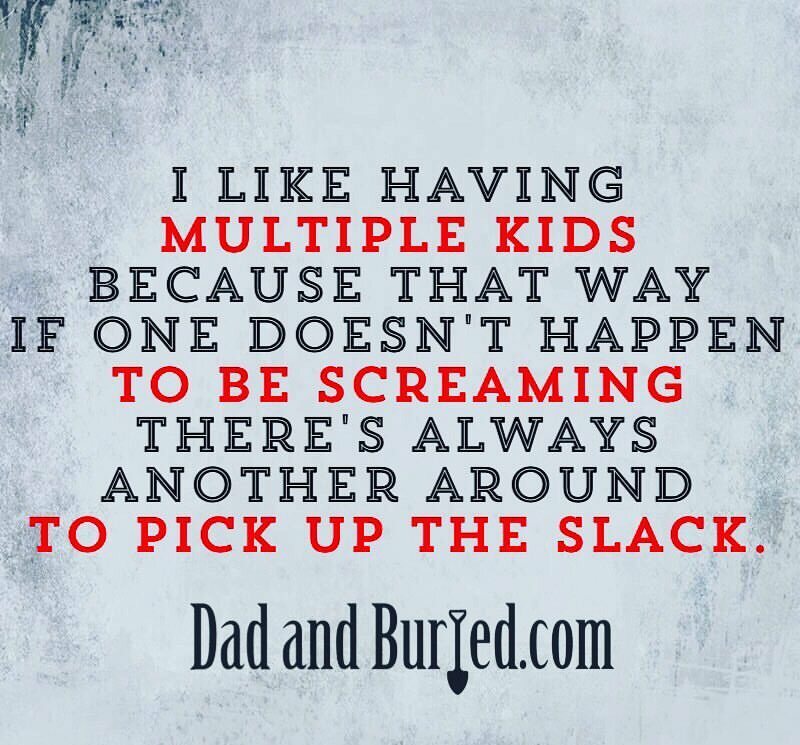 And I’m sure in some ways it would have been nice to double up on the stuff I just mentioned and hammer out all the potty training and baby stuff back-to-back and be done with it. But so far, the gap is working out pretty well for us. We wanted our kids to be born closer together, but that’s not how things worked out.